Speed vs Stamina: Is Tour de France the 'ultimate' sport? Speed vs Stamina: Is Tour de France the ‘ultimate’ sport? All sport is physically enduring. Being an athlete demands a level of fitness, stamina and overall dedication that most of us aren’t prepared to put into physical activity. With this in mind, the question remains of whether some sports are more enduring than others? Thinking about this in terms of scales and measurement may be the most effective way to come to a solid answer. Whilst competing in Tour de France, a road cyclist burns up to 1,180 calories per hour, and this is considerably less for golfers at 480 calories per hour. On paper it seems there’s no question between which sport proves more taxing. The level of stamina needed to travel across miles with sole man power is unquestionable. However, it should be noted that the calories a golfer burns far exceeds that of normal sport. Movement and speed does not necessarily equate to the ‘ultimate’. They may move a great deal less but there is an impressive level of focus and accuracy that goes into the sport. If we are to measure the intensity of a sport in terms of speed, formula one racers win by a long shot. They are able to reach speeds of up to 232 mph, respective of a midfielder who can only get a ball travelling up to a measly 114 mph in comparison. Maybe what makes a sport extreme is the level of danger it ensues. There’s a kind of thrill born out of watching a car travel at unimaginable speeds around a track. The atmosphere at a football match, hearing crowds chanting at the top of their lungs in support of their team is something unique. We can look at heart rate as a determining factor of this. Adrenaline fuels the crowd, and the athletes – shown through the fact they reach heart rates of up to 170 bpm when competing. You may be thinking that sport isn’t the only cause of such an increased heart rate, and you’d be right. It seems redundant to classify a sport as ‘ultimate’ with this parameter when anything from a scary movie to proposing can get your heart racing a million miles an hour. Our emotions, as well as physical activity, can cause an extreme bodily response. It could be distance covered that judges the intensity of a sport. We think of elite athletes as those who push themselves to the absolute limit, those who keep going despite believing they have nothing left to push them forward. 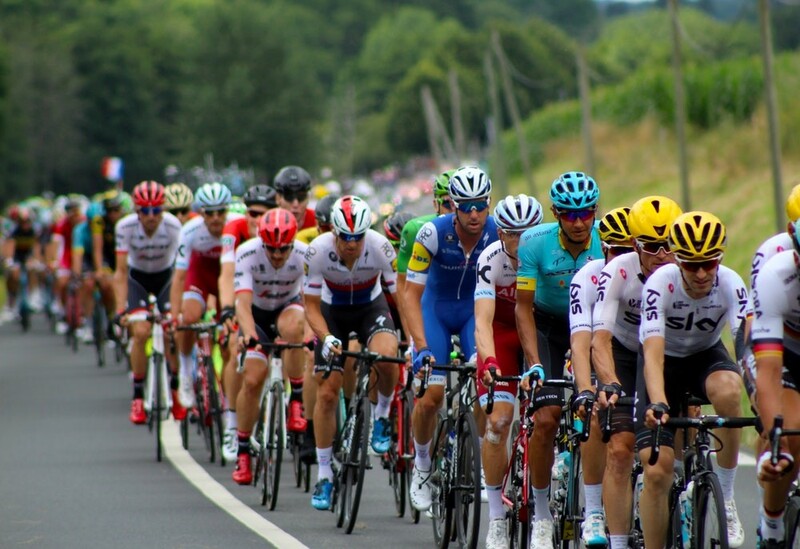 Tour de France cyclists cover distances of 2,200 miles compared to a tennis or football player traveling around 6.2 miles; the level of endurance and drive such athletes require are incomprehensible. To put it simply, each sport needs to be considered for what it is. Being a footballer demands agility and power. It is a team sport that requires working with others to achieve a victory. In contrast, cycling is solitary necessitating physical but also mental strength; one needs the ability to deal with unimaginable pain for extended periods of time. Instead we might think about sport in terms of their physical and mental impact; different sports attack these in various ways and so shouldn’t be compared. It seems inappropriate to talk about competitive sport without what there is to gain from it. Formula One drivers receive the best pay check, with winners earning themselves a massive £5 million, whilst coming first place in Tour de France grants only £436,000. This is shocking considering that these athletes cover the largest distance of all the sports, and burn the most calories. It goes to show that the physicality of a sport may not have as much to do with labeling it ‘ultimate’ as initially thought. What makes a sport ‘ultimate’ is subjective. For some, the accuracy needed in Gold overrides the impressive speeds Formula One racers are able to reach. The grueling distances Tour de France cyclists travel pale in comparison to the agility of a football player. All sport is the ‘ultimate sport’. For all good athletes, a fine tuning of specific skills is required to be the best in their field. Regardless, and most importantly, these people invest time, dedication and an undeniable passion across their careers. It can’t be as simple as measuring the number of calories burnt in a competition.